In celebration of Figure’s 15Y anniversary and it’s just about to be released FIGURE 100 compilation the label artists will perform in a series of selected events across Europe. 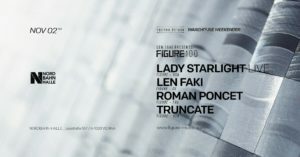 FIGURE 100 – 15 years of Figure Music, a Berlin based label founded by Len Faki. Celebrating our 15th anniversary as well as the monolithic catalogue 100, we release a gem-packed compilation featuring 15 artists who are shaping the current sound of the label. Ranging from machine-driven stompers courtesy of Juxta Position, Kirilik or Lady Starlight, to punchy electro by Viers and UBX127, to Nocow‘s signature style wavey melancho-electronics, or the straight-up high-voltage-techno of Truncate, Shlomi Aber, Lewis Fautzi and captain Len Faki himself, all adequately framed by Setaoc Mass‘ beautiful ambient pieces – this 4 LP-set encompasses everything Figure both past, present and future. Arriving in a unique gatefolded sleeve that carries the exclusive handmade visual art by Munich artist Julia Schewalie. In an effort to give its 100th release an equally exclusive visual representation, Figure signed Munich-based artist Julia Schewalie to produce a custom-made artwork, put together only from vinyl across the label’s entire runtime. In an intricate and enduring process the artist Schewalie cuts apart all the records, then carefully rear­ranges the fragments, rebirthing them as one new piece of art. Compressing 15 years worth of Figure music, the final cover truly reflects the whole range of the label’s constant evolution, yet physically still holds its very essentials: musical grooves etched into a record. This way the cover also champions Figure’s long-standing passion for the vinyl medium itself, as the label’s records are still primarily designed as tools for DJs to work (and have fun!) with. The art is printed on a special handmade 4×12″ gatefold cover, shrink wrapped, including a download card. Includes digital pre-order of FIGURE 100. The moment the album is released you’ll get unlimited streaming via the free Bandcamp app, plus a high-quality download in MP3, FLAC and more. Room 2: Zuckerwatt meets Driving Forces Rec. Len Faki’s FIGURE 100 event in Vienna is part of the Techno.Deluxe Warehouse Weekender 2018 @ Nordbahnhalle. planned & realised in friendly cooperation with FIGURE •, Triangle agency & Len Faki.